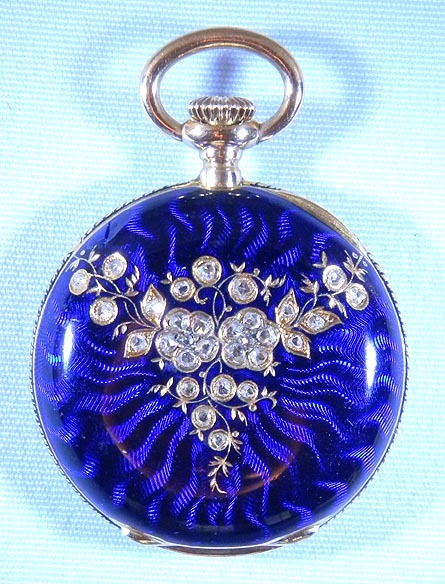 Fine and beautiful Tiffany 18K gold, diamond and enamel ladies antique pendant watch circa 1890. 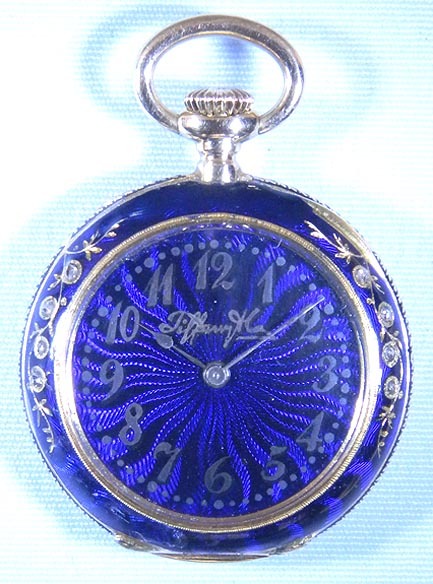 The case with cobalt blue enamel (numerous small edge restorations which are obvius upon close inspection) over engine turning and set with diamonds. 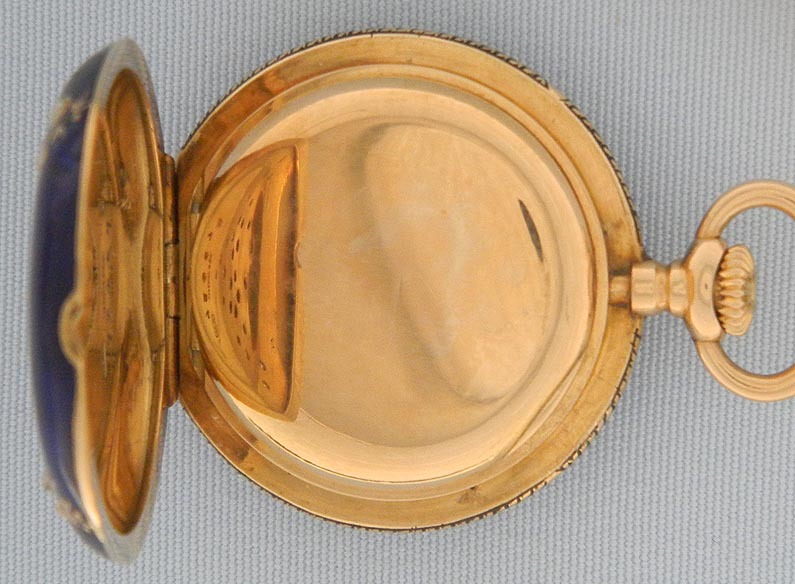 Matching dial with faded gold markings and faded gold hands which is somewhat difficult to read. 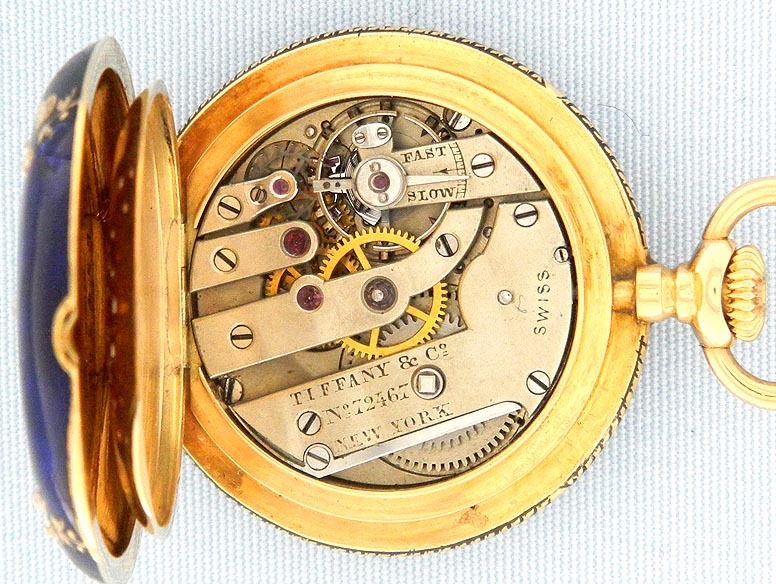 First quality 18 jewel nickel movement attributed to Ekegren.